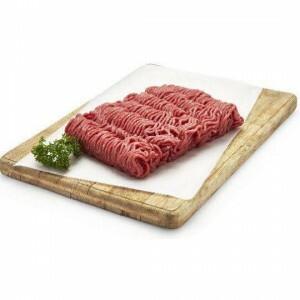 Heart Smart beef mince is really top quality meat and is so versatile for many types of meals. I use it for pies, meatballs, rissoles etc. You do pay a bit more but in the end its worth it for the taste and quality. This Heart Smart Mince is a great product and so versatile for all types of dishes using mince. Unlike the lesser grade mince, there is not a lot of fat residue . This is a very good quality mince. There is hardly any fat in it and is therefore great to use in Bolognese or just to cook up with diced onion, gravy and mashed potatoes. Because the fat content isn’t as high as other minces it doesn’t leave you with heartburn later. Love this mince no visible fat before cooking and once cooked there isn’t spoonfuls of fat like other mince. Id buy weekly if it wasnt as expensive but I still regularly buy when shopping is low for the fortnight as this is real quality clean mince. This Beef Mince Heart Smart is just perfect. No visible fat and a lovely rich red colour. It’s our go to mince. Wonderful for burgers, bol, meatloaf or what ever. I had this for dinner last night in my spaghetti and it was delicious! The meat is a heart smart which l always buy and the colour of the meat is excellent.l use Paul Newmans bolgnese sauce to add to my mince with 7 hot chillies and garlic and adding the san remo pasta with shaved parmesan and pepper.A delicious Winter meal that we look forward to eating! 5 out of 5 rating! How would you rate Beef Mince Heart Smart?